Mr and Mrs Chikaka of Westgate engaged a gardener Trymore in March 2014 who requested for permission to visit his former employer to collect his salary after working for them for a month. She granted her permission to go but asked him to collect her own money from someone she had sold shoes to which he did and proceeded to meet his former employer. He met him at Westgate shopping mall and he broke the news to him that he was no longer willing to work for him like he had promised. That did not go down well with him and became angry and threw the money at him. He took the money and placed it in the same wallet with Mrs Chikaka’s money. He walked a few steps from there and checked his wallet and was shocked to note that there was no money in his wallet. He ran to the police station to report the matter and there he was quizzed on who the man involved was and he told them. Apparently they were familiar with the name and told him that he was well known for using juju to rip people off their hard earned cash. Trymore was advised to report his matter at the Borrowdale Police Station which he did. He was assigned with a police officer who accompanied him to his former employer’s house. When they got to his house he pulled out a gun threatening to kill them but instead he was arrested because his gun was not licenced. The Police took him with them and detained him, the next day he woke up with a severely swollen body to the point he could not speak. Mrs Chikaka advised Trymore to go and ask for forgiveness and plead with the Police to withdraw his case. The Police Officer at the station who was in charge of the cash box found USD800 missing mysteriously during the time that man was in custody. The next day Mrs Chikaka gave Trymore USD30 to go to his rural home in order to inform his parents of the mysterious events surrounding his life. When he got to Mbare where he was supposed to board a bus he found the money missing from his wallet and had to return home. The following morning they gave him another USD27 to travel to his rural home but instead of losing the money he was kidnapped by people who had been sent by his former employer. Trymore had told his mother about all the mysterious events which were happening in his life and she had engaged a white garment “prophet” who was assisting her in solving the matter. After his kidnap in April during Easter the “prophet” made communication with Mrs Chikaka who was also a white garment church member at the time though she belonged to a different sect. The “prophet” told her about the kidnap and the sequence of events which happened she further instructed them to do prayers and assured them she would pray as well. She was instructed to put on her own white garment church regalia (white garments - magemenzi) during her prayers as she was instructed to and she complied. She made sure she followed all the prayers as she was instructed and was further told that Trymore would be released after three days in the absence of his former employer by a young boy and it was so. He was released very early in the morning and was now dumb just like the “prophet” had said. They were actually communicating with him using sign language just like they were told and he was also using sign language. After a few hours of his arrival the “prophet” called again with more instructions some of which included getting closer to his room and call his name thrice whilst pointing at the door and she complied. Just as she had been told the boy responded to his name at the third call and he was able to talk since then. She was instructed to prepare a meal for him of which she did and he ate. She received another call again after an hour in which she was given an instruction to tell him to go to his church shrine for prayer and she passed the message on to him and he did just as the “prophet” instructed. 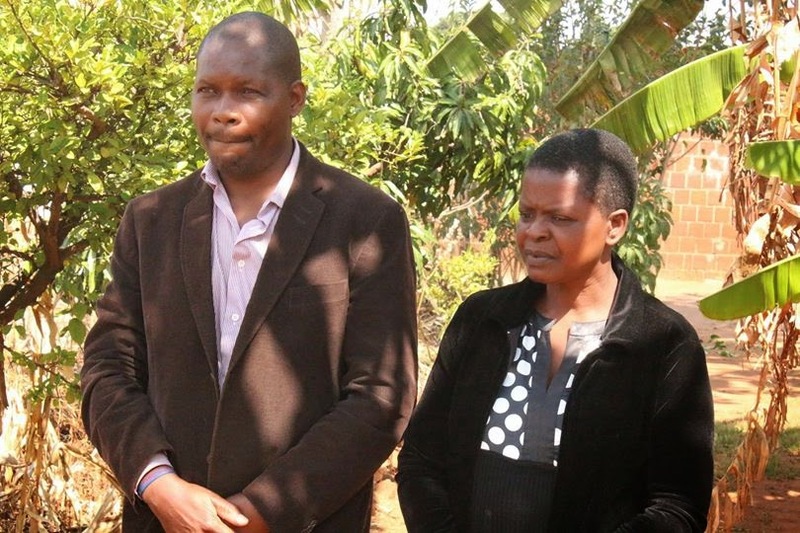 His former employer was also mysteriously fully aware of all the events that were taking place and they were calling Mrs Chikaka while threatening and forbidding them from seeking help from any church. He warned them that he was fully aware of all the communication they were making with the “prophet” from Trymore’s rural home and they had to stop because he was dangerous and specialised in killing people not prayerful like them. Trymore was later kidnapped at the shrine whilst he was praying. Even after kidnapping him Trymore’s former employer did not stop calling them instilling them with more fear. It was now towards the end of April 2014 when it was time for Mr Chikaka to withdraw his hard earned salary from his account. He withdrew the money and placed it in his wallet but got the shock of his life when he got home and found that the money was missing. They quickly linked it to Trymore’s former employer since that was exactly how he mysteriously took money from Trymore. The evil attacks were now also on them and that month marked a new era of attacks in their lives. The strange incident occurred again when the month of May came to an end he mysteriously lost all the money from his wallet again and still Trymore was missing. They went for about six months not taking any money into the house with the fear of losing it. They resorted to leaving money in their car boot and locking it there but still it did not work it would still vanish from there. Trymore’s former employer knew all the efforts they were making to save their money in the car boot and soon after he took it all with the aid of his traditional healer he had brought in from Malawi. That trend went on from April 2014 till end of September 2014 and the family did not enjoy a single cent from Mr Chikaka’s salary. Trymore’s former employer was now the one calling the shots and telling them how to operate. He did not allow them to seek help from anywhere. He gave them an instruction to use their church regalia (gemenzi) to cover their sweeping broom for reasons they did not understand but they complied thinking it would stop the loss of money. They were further instructed to move the broom around the house from room to room on a periodical basis. Mr Chikaka also received some commands he had to carry out but was not allowed to disclose them to his wife as that would cause more problems. During that time people who were involved in the matter were dying every month. The police officer who found USD 800 missing in his cash box was the first one to lose his life simply because he had made efforts to uncover the mystery. Second in line was the “prophet” Trymore’s mother had engaged to assist, she died whilst on her way to Harare to assist the Chikaka’s on the attacks they were experiencing. She died mysteriously whilst in a car that was ferrying her to Harare. Trymore’s mother died in the third month because she also sought assistance from various people in an effort to save her son and uncover the mystery. The fourth person who died was Trymore’s former employer’s wife. She died because the traditional healer somehow made a ‘mistake’ and it back-fired on them. Trymore’s former employer was the one updating them with all the information on the deaths and how he was killing them. He told them that he was using an evil animal horn (nyanga) to kill them and all died from bleeding from the mouth and nose. Trymore’s former employer also lost his life as well as the traditional healer they had brought in from Malawi. Their deaths did not help in saving the situation because Trymore’s former employer’s great grandfather took over when he passed on and the torment continued.  He engaged another traditional healer from Malawi before his grandson and had died whom he continued to work with. On the 1st of October they decided to visit PHD Ministries and they ensured they had anointed mantles for their protection. They continued to attend services and Mrs Chikaka is currently going under deliverance. Pay day came when the month of October came to an end and this time around Mr Chikaka placed two stickers and the anointing oil in his wallet before withdrawing his salary and that saved it all for the glory of God Almighty. On the 27th of October 2014, they heard a knock late into the night confirming a dream she had had days before. She took the teaching that the Man of God Prophet W. Magaya gave on dreams and did not open up the door for them. They disclosed their identities and that gave them enough reason to shut them out and they eventually left. 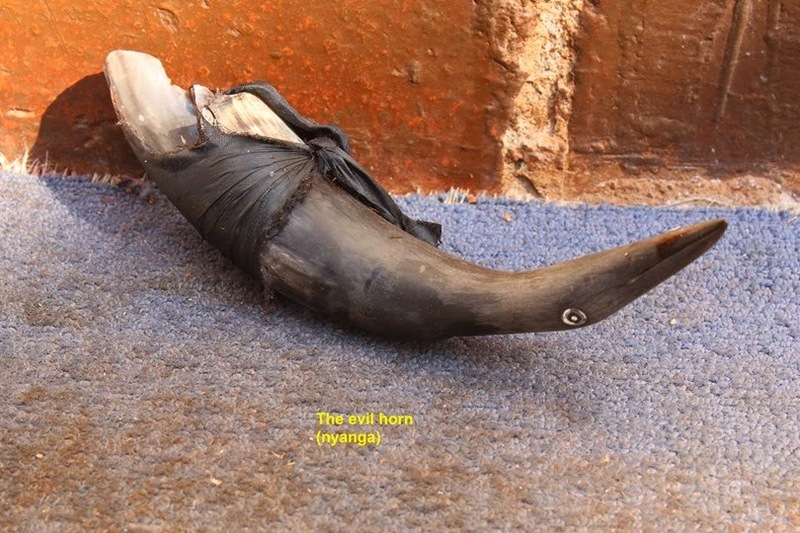 Yesterday 1st of November 2014 they left home for a neighbour’s funeral and upon their return they found an evil horn (nyanga) full of blood by the door way. They were gripped by fear, fled their home and as we speak they spent the night at Mrs Chikaka’s family home in Mufakose and are reluctant to go back. Today marks a new era in their lives as Prophet W. Magaya has vowed to ensure that they receive total freedom from all the torment. Our Yadah-Tv crew has been sent to the Chikaka's home in Westagate to take photos of the evil horn (nyanga) and the threatening letter which was found at the door step next to the evil horn as seen in the photos . The devil is a liar and all the living people involved shall be met by our Jesus Christ at a place without darkness – with nowhere to hide!